Lane Award is dedicated to providing high quality awards and world-class service to every customer, every time. And while we truly believe that our products should always reflect the beauty of exceptional craftsmanship, the team at Lane Award understands that the production process is just as important as the end result. Lane Award utilizes environmentally responsible materials and eco-friendly practices, when possible, in the production of our trophies, gifts and awards. We believe that there is no beauty in the absence of integrity, and we are confident that our philosophy will continue to generate unforgettable recognition experiences that are not only astonishing to our customers, but in many cases, kind to our planet. Did you know that glass is one of the most infinitely recyclable materials on the planet? Joined by only a handful of other natural materials, glass can be recycled time and time again, never requiring its disposal. Just think, that perfectly aged wine in your collection could be sitting in a bottle that has been recycled over 50 times before reaching its current form! With the exception of some metals, it’s difficult to find a material in the same recyclable league as glass. 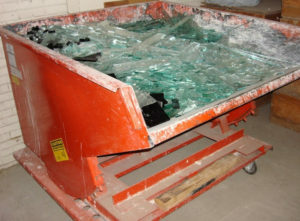 Remember, glass is made by melting and fusing Silica Sand, Soda Ash and Lime, which are all natural materials. Not only is glass an important element in protecting and recycling our valuable natural resources, it is also one of the most exquisitely diverse materials used in creating our stunning, high quality glass awards. 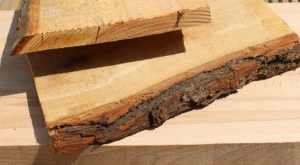 While oftentimes considered one of the most environmentally-friendly raw materials available, you may be surprised to learn that not all wood is sourced responsibly. That’s why in 1993, a collection of environmental groups came together to form the Forest Stewardship Council (FSC), a forestry certification program hailed as the gold standard in responsible forest management. With an acute focus on environmental health, FSC certification requires strict standards of compliance in a variety of categories, from clear-cutting restrictions, to limitations on chemical pesticides. Upon request, Lane Award Manufacturing can access FSC material, which is the gold standard on environmental health with regards to responsible forest management. Using a variety of woods, Lane Award strives to create the most distinguished hardwood plaques available. Click here to browse our incredible selection!